Is Muhammad in the Bible?? 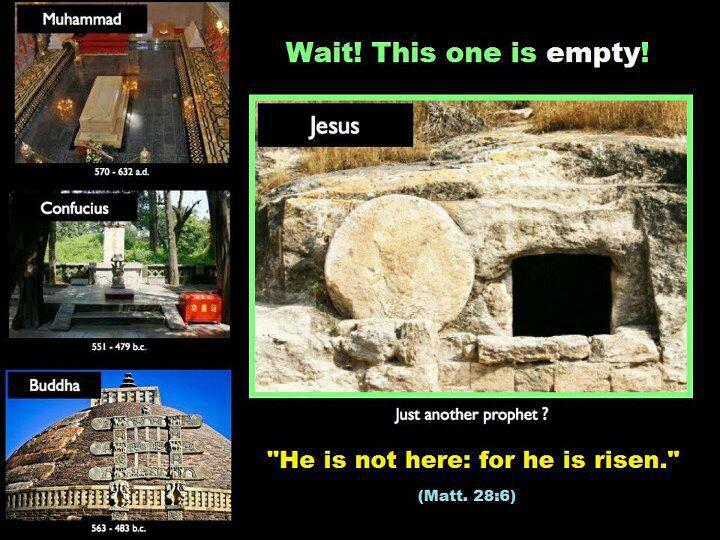 Some Muslims try trick Christians by saying the Comforter promised by Jesus in John 14:16 was referring to Muhammad. Just to inform everyone that this is absolutely FALSE and how to refute it. Here is the simple facts that make it obvious the Comforter was NOT Muhammad. Jesus said in his statement that the Comforter would abide with his disciples forever. Muhammad is dead & buried in Mecca to this day and can't abide anyone FOREVER. Jesus told his disciples to wait in Jerusalem for the Comforter. If it was Muhammad 500 yrs later they'd all be dead and the Comforter is useless. And you also were included in Christ when you heard the word of truth, the gospel of your salvation. HAVING BELIEVED, you were marked in him with A SEAL, the promised Holy Spirit, who is a deposit guaranteeing our inheritance until the redemption of those who are God’s possession—to the praise of his glory. Muhammad was never mentioned in the Bible.﻿ Not even remotely. The Comforter was identified by Jesus as the HOLY SPIRIT.